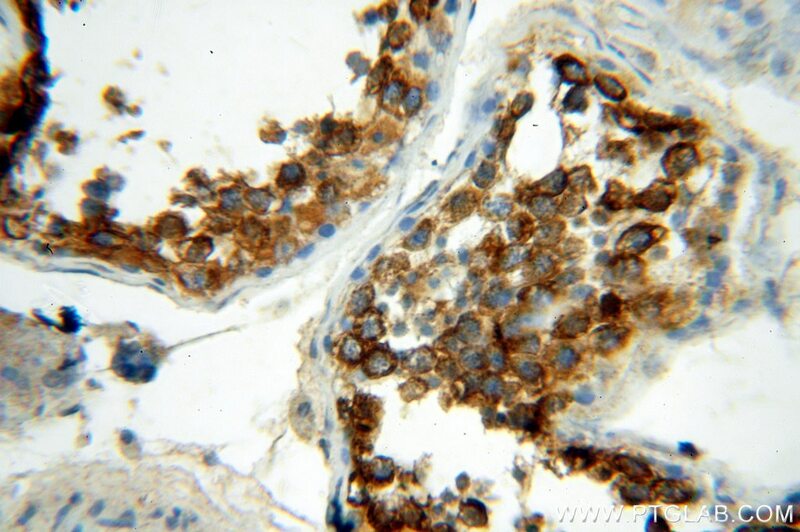 IP Result of anti-HDAC6 (IP:12834-1-AP, 5ug; Detection:12834-1-AP 1:1000) with K-562 cells lysate 11000ug. Histone deacetylases(HDAC) are a class of enzymes that remove the acetyl groups from the lysine residues leading to the formation of a condensed and transcriptionally silenced chromatin. At least 4 classes of HDAC were identified. 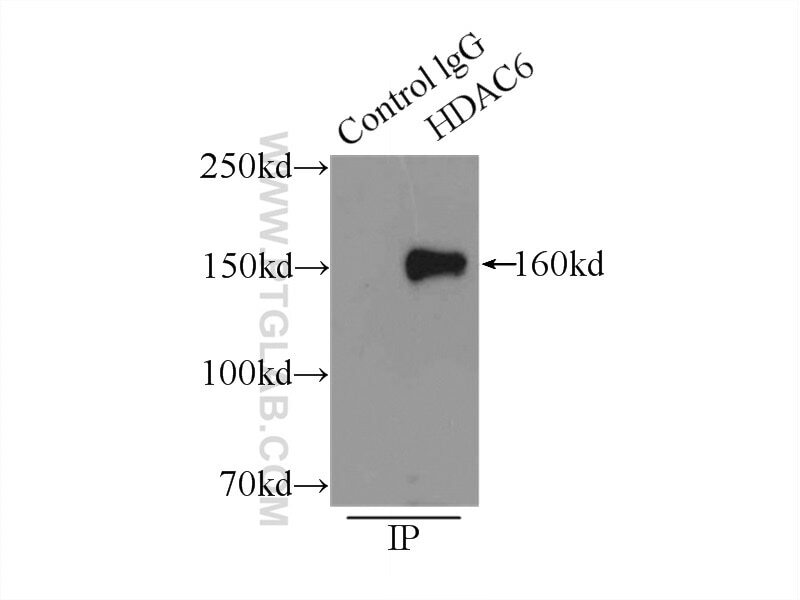 HDAC6 is a member of the class II mammalian histone deacetylases. It possesses two separate putative catalytic domains. Both catalytic domains are fully functional HDACs and contribute independently to the overall activity of HDAC6 protein. A very potent NES is present at the amino-terminus of HDAC6, which was found to play an important role in regulating the shuttling of HDAC6 protein between cytoplasm and nucleus. The shuttling process may be a critical regulatory mechanism of HDAC6 function. The expression of HDAC6 is tightly linked to the state of cell differentiation. HDAC6 may participate in coordinating expression of a group of genes involved in the remodelling of chromatin during cell differentiation. 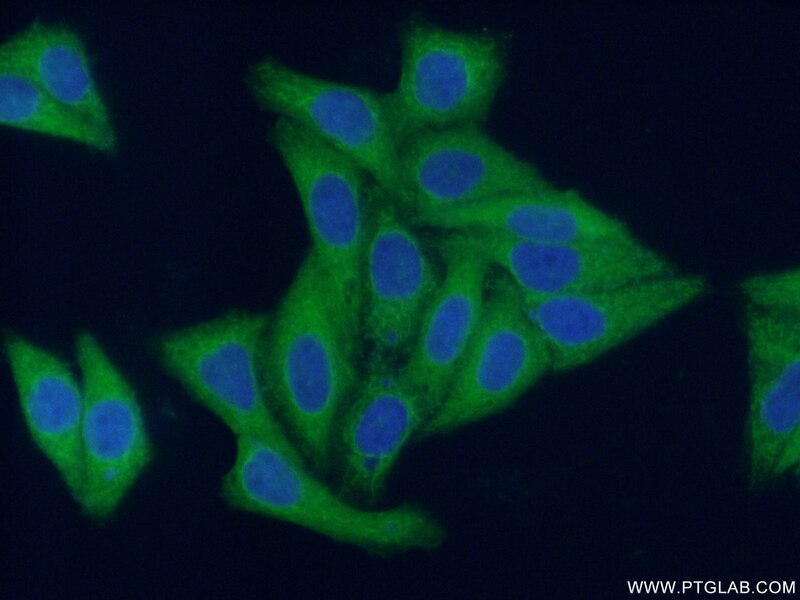 HDAC6 has some splicing variants such as P114(~130kd), P131(~160kd).This antibody is a rabbit polyclonal antibody raised against residues near the C terminal of human HDAC6. Histone deacetylase 6 reduction promotes aortic valve calcification via an endoplasmic reticulum stress-mediated osteogenic pathway. Rab23/Kif17 regulate meiotic progression in oocytes by modulating tubulin acetylation and actin dynamics. Stabilized peptide HDAC inhibitors derived from HDAC1 substrate H3K56 for the treatment of cancer stem-like cells in vivo. Histone deacetylases and acetylated histone H3 are involved in the process of hepatitis B virus DNA replication. 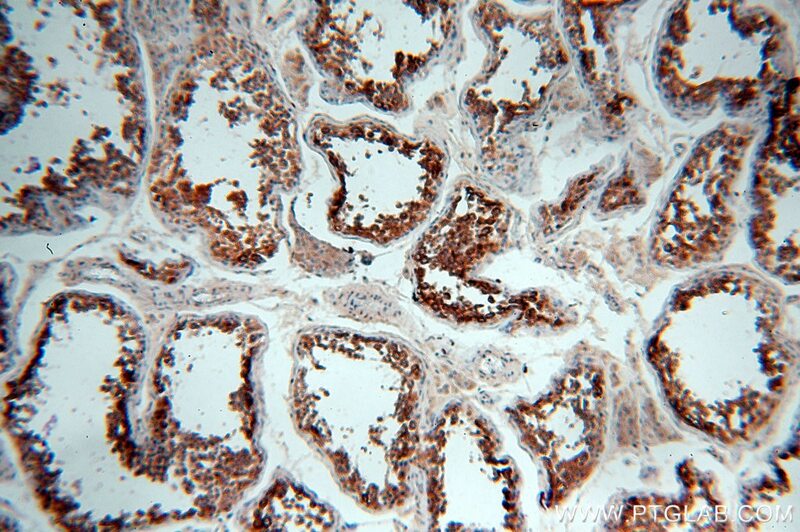 Expression of hMOF in different ovarian tissues and its effects on ovarian cancer prognosis.